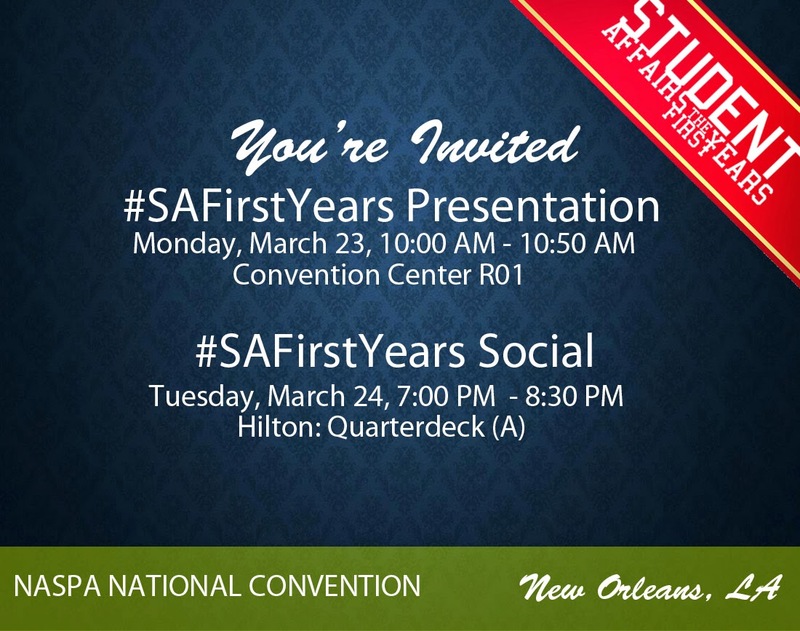 On behalf of the Student Affairs - the First Years leadership team, we would like to invite you to our social and presentation at the National Convention. The first years experience is about more than job search. Its about more than your first year in the field - it's a journey! We hope to see you there!